First things first: YAY [!!!] 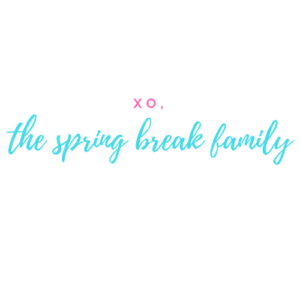 for choosing to travel with your kids! We know what an investment that is and we’re so excited for you and your family! If you’ve decided to visit a place that’s not so close, more than likely you’re looking for airfare and you’re in need of tips for finding cheap flights. No worries – we’ve got you covered! From websites to e-mail alerts to expert tips, here is a comprehensive guide on how to plan cheap flights for your family! 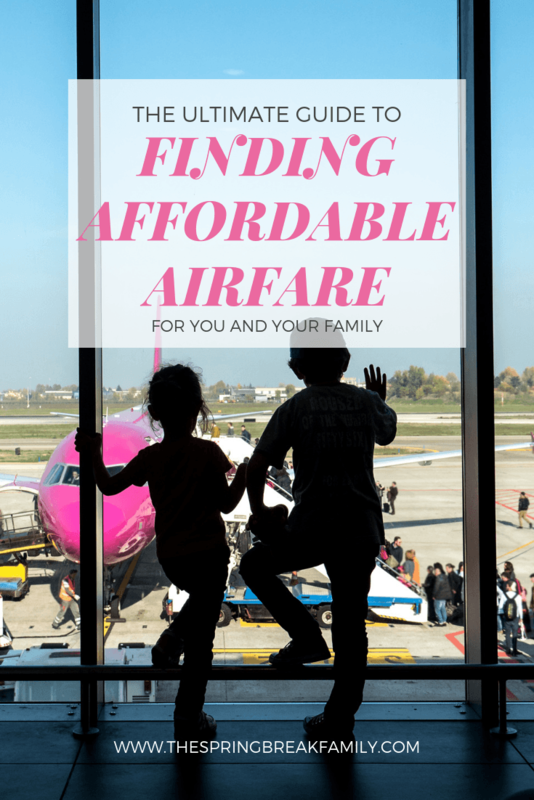 This is hands down the most robust and flexible tool to use when searching for inexpensive airfare for the family. It is a global travel search engine that allows you to search for flights [and rental cars and hotels] with only a few parameters. The best part is that it is really easy to use! Did you know they also have a free app? 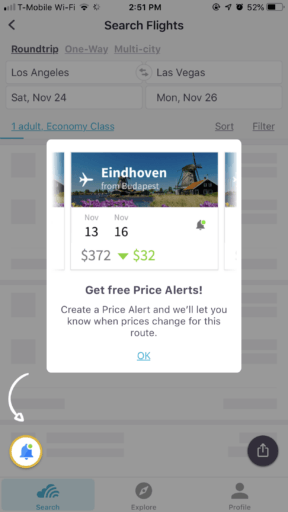 Search from your phone and even set up price alerts! Let’s say you’re looking for your next Spring Break trip and want to find cheap flights by date not destination. 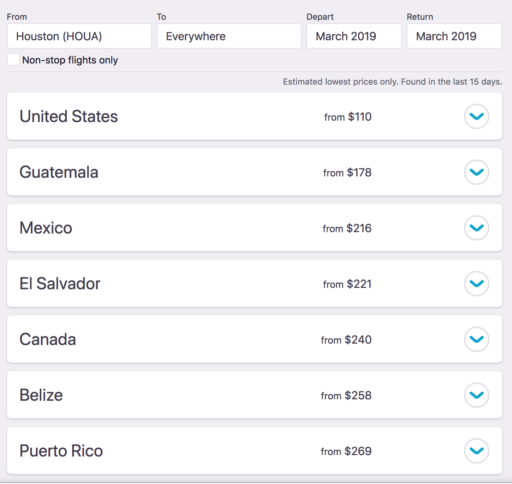 If you want to find all available airfare prices from Houston for the month of March, you can put Houston as the “From”, set the “To” to Everywhere, and then choose the entire month of March for the time frame. In return, you will get a list of ALL the flights available categorized by country and then by price. You can also search by destination. Let’s say you know where you want to go [NYC in this example] and you’re figuring out how to find cheap flights with flexible dates. Put Houston in the “From”, New York City in the “To” and “Cheapest month” for the date. 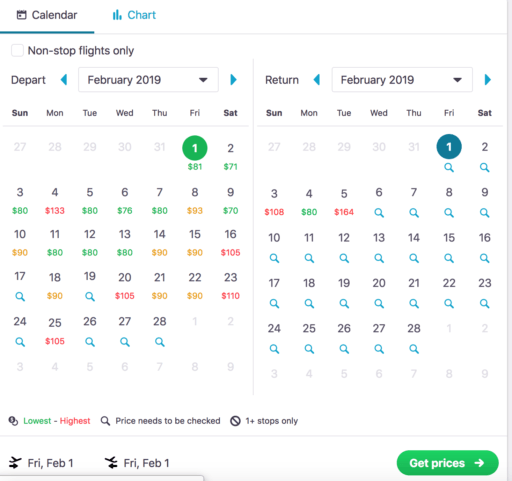 SkyScanner will then scour the web to find the best prices and display them in a nifty fare calendar. If you’re feeling particularly flexible, you can even search for flights going anywhere for the cheapest month. Yep, that’s right — you can search with only the departing airport! Awesome, right? We think so too! 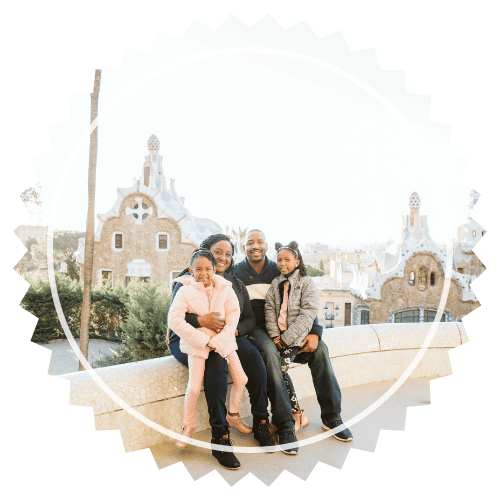 We use this all the time when we are on the hunt for inexpensive airfare for the family and consider this our top flight for finding cheap flights! Google is king of all things Internet search so it comes as no surprise that they created a a pretty neat flight search engine! If you’re looking for a specific destination and date, you type in your travel info like you would on any other site. 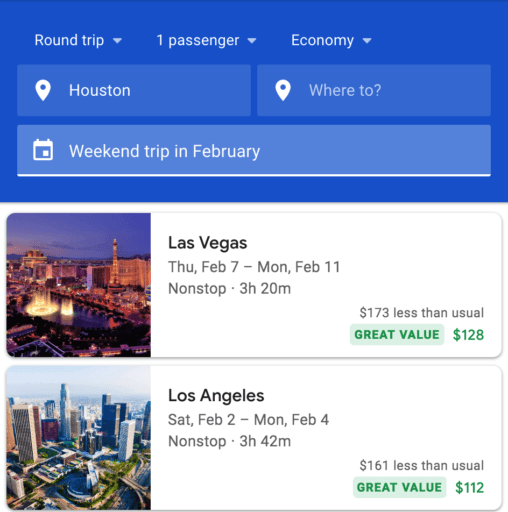 Google will search through all posted airfares and display all your options. You can filter based on departure time, arrival time, length of travel, number of stops, etc. to find the flight that really works for you and your family. If you aren’t sure of your destination, no worries — Google has that covered too! Simply leave the “To” field blank. In return, Google will display a map with flight prices. If you want to know how to find cheap flights with flexible dates instead, you can choose “Flexible Date” from the date choices and Google will present you with options. You can pan left/right or zoom in/out to explore all over the map! One of my favorite features of Google Flights is its price analysis! Flight prices displayed in green are considered a Great Value and are either cheaper than normal or are lower than your other options. It will also show if a flight a less than usual which can help you decide if it is a deal that should be acted on sooner rather than later. General sites like SkyScanner and Google Flights will help tremendously but if you can find a site that is focused just on your city [or those nearby] it can be like having your own personalized travel agent. We maintain a comprehensive list of said sites here. If any of you happen to be from Houston, Escape Houston is my absolute favorite! Bonus Tip: follow their page on Twitter and set a tweet notification so that it pops up on your phone and you can catch the deal before it disappears! If you follow us on Instagram, then you know my love for Priceline has no bounds. There are so many good deals to be found on Priceline and they are grossly underrated. Their flight search engine is not as flexible as some of the web’s other choices but if you know your origin, destination, and desired dates, it will return the same results as other sites. As a bonus, they will also display flight + hotel bundle deals that can help you save money. The real treat of Priceline Flights though is their Express Deals. 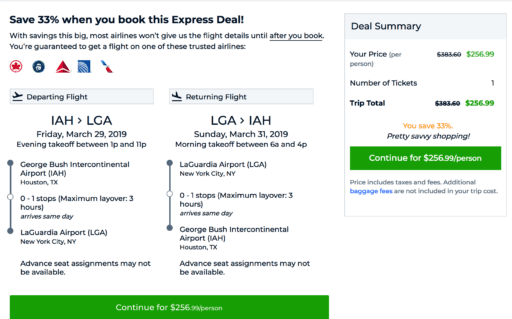 Many are familiar with their hotel express deals but did you know they have one for airfare too? You can save up to 50% by letting Priceline select your airline and flight times. They make certain promises prior to booking like the number of stops and a time range for departure and arrival but overall you’re flying blind [pun intended]. Giving up that much control can be scary but keep in mind the airfare offered will be with major airlines and is the same flight you’d pick yourself — just up to 50% cheaper. It’s a wonderful option if you’re absolutely certain where you’re going and when and just want to find the absolute cheapest deal you can. Skiplagged is truly one of a kind! Like the others, it is a flight search engine but shows hidden city ticket options. What does that mean? Let’s say you’re trying to fly from Houston to Paris. Skiplagged will show results for those flights but what makes this site special is that it will also show flights to other destinations that might have a stopover in Paris. 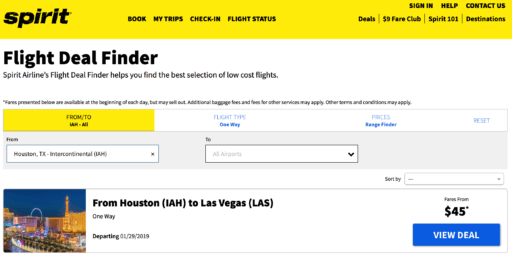 For example, if there is a flight from Houston to Barcelona with a stopover in Paris, it will display those among your results if it is cheaper. Don’t check luggage or else it will go straight to your final destination. Be wary of visa needs if your Skiplagged flight includes a stopover someplace that requires one. Book one way tickets. The remainder of your flight itinerary will be canceled if you don’t board the plane after your stop over. Some airlines track the folks that do this and put them on a naughty list. Check Skiplagged’s detailed list of “gotcha’s” here. 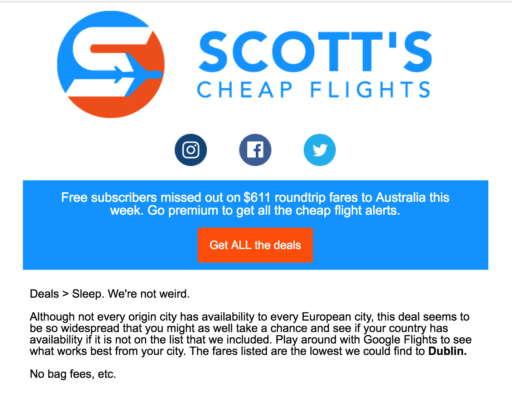 Scott’s Cheap Flights is my favorite e-mail airfare subscription services. Their e-mail is how we booked our Spring Break 2019 trip! You don’t have to set a specific destination or a specific date – just provide your favorite departure airports and let them do the rest! When a good deal comes out, they will send you an e-mail with a date range and round-about prices. They’ll even send you prices from other cities which really comes in handy if you’re planning a trip with friends/family in other cities. Screenshot of Scott’s Cheap Flights from my own inbox that alerted us to the sale we used to book our trip! Their service is completely free [FREE!] but they do offer a premium service for a nominal amount. You’ll get more frequent e-mail alerts [including ever illusive mistake fares], more real time notifications, and Hawaii and Alaska deals. Best part is that you can try the premium service with a 30-day money back guarantee. Next Vacay is an e-mail subscription system that will automatically send you great deals based on your home airport. The mission of creating “an easy system to make regular travel affordable, escape the cubicle life, and experience this world” is so near and dear to my heart. But beyond that, they genuinely provide great deals right to your inbox! There is no free version of Next Vacay but it is insanely affordable at only $25/year. That’s $2/month and less than 10 cents a day for the opportunity to see the world on a budget. They even offer a 6 month guarantee so you have nothing to lose. Travelzoo specializes in providing deals instead of just flights. They aren’t a flight search engine and you can’t just book flights via their site [although they do often share flight deals] but you can get fabulous package deals on Travelzoo: flight + hotel, flight + hotel + guided tours, just hotel, and so much more! 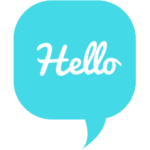 Sign up for their e-mail and they will send you weekly top deals personalized for your city. 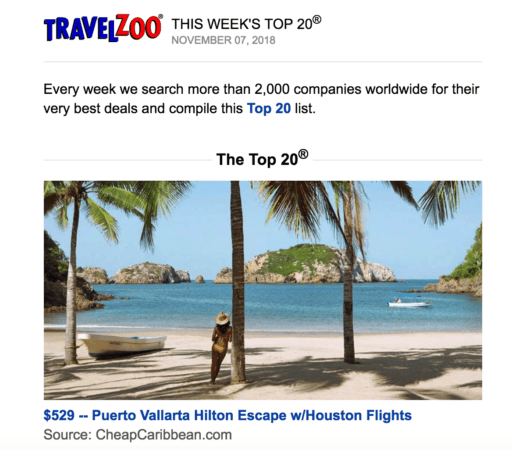 If you’re looking for something that’s more of the pre-packaged vacation option, then Travelzoo is a fantastic resource! Yes, I’m praising SkyScanner yet again! Their website is pretty robust but dare I say I think I like their app even more! It’s all their features — plus some — wrapped in the convenience of a mobile app. There is, of course, the general search with the same features as their website: the ability to find cheap flights by date not destination, find cheap flights by destination not date, or just an open ended search of everything available. But they also have quick searches that allow you to find cheap flights this weekend, next weekend, in upcoming months, and more! 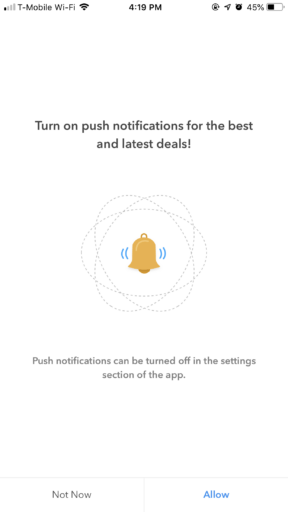 But perhaps the most beneficial perk of their app over the website is that you can set up price alerts. Search for a flight and you will automatically get a popup asking if you want to configure an alert. If you do, you will receive a notification on your phone when the price changes for that route. Easy peasy and super helpful. 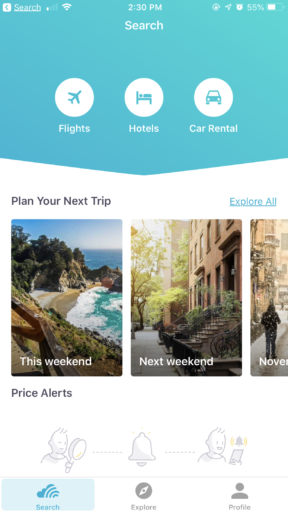 Similar to their website, the Skiplagged app helps find both standard fare and hidden-city airfare — all from your mobile phone! It will also detect your location and automatically display deals from your home airport. 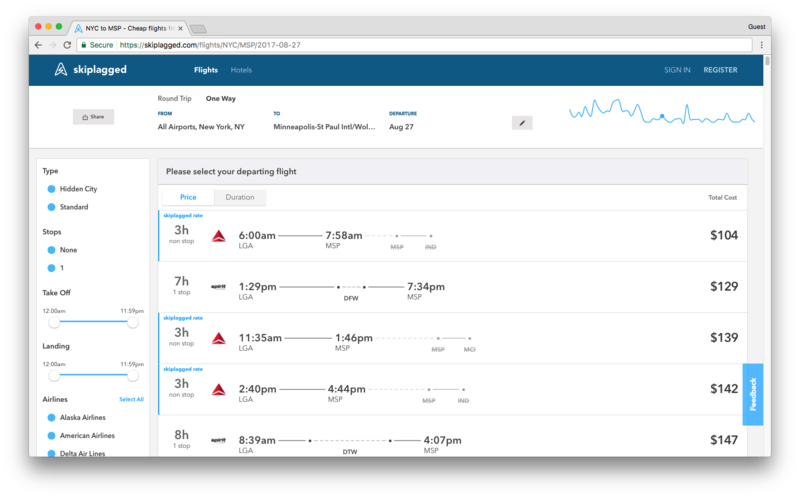 Best of all, you can set price alerts to receive real time notification if a Skiplagged fare becomes available. 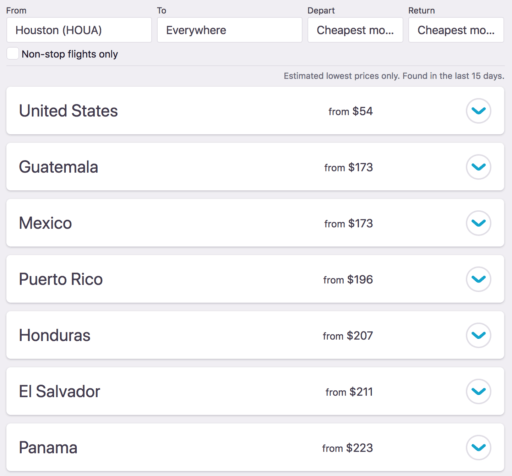 Hopper is a great tool when figuring how to find cheap flights with flexible dates! It’s a little different from other travel search engines. For one, it is mobile app only. That’s right — no corresponding website to go with this magic little app. Second, Hopper works best if you know your destination but not your dates. Simply select your destination and click search. Hopper will “hop” across the web to find the best airfare options for you and display them all in a nifty color coded calendar. My favorite part of this app is its airfare prediction feature. 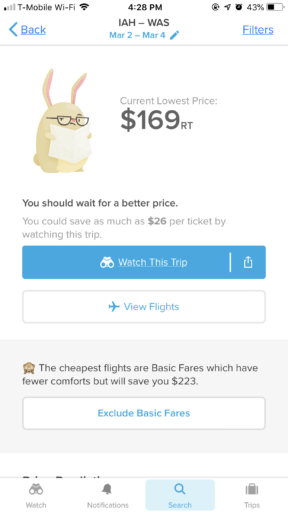 Once you select your dates, Hopper will tell you the current lowest price and advise if you should purchase or wait for lower fares. Neat, right? It removes the guessing game that naturally comes with planning cheap flights! Frontier Airlines is a Denver, CO based airline that provides low cost airfare to certain cities in the US. If you catch a good sale with Frontier, their airfare is ridiculously low — sometimes as low as $15 each way. Their fares are base fares meaning they only cover admission to the plane. Advance seat assignment, carry on bags and checked bags are extra and are cheapest if purchased when booking. But you can, of course, decide to forego the extras and simply purchase the airfare. Bring only a personal item, let them pick the seat and you’ve just saved yourself oodles of dollars. 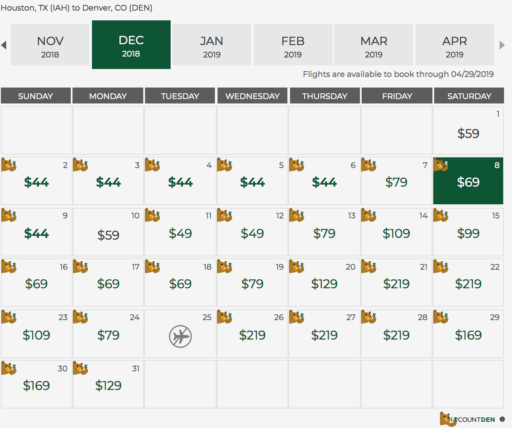 If you’re looking for how to find cheap flights with flexible dates via Frontier, their fare calendar is one of my favorite features! Trying to get their [super cheap] advertised fare? Then use their fare calendar to see the exact departing and returning price for your desired dates. Be sure to sign up for their e-mails to get the best deals and promo codes. And if you think you might fly them fairly frequently, invest in their Discount Den membership. WAIT! Hold on — don’t skip this section! I know there are a lot of Spirit Airlines haters out there and I get it. But you can’t have a discussion on how to find inexpensive airfare without including Spirit. Besides, tales of their sky-high mishaps are [slightly] exaggerated. The bottom line of it all is that Spirit offers extremely inexpensive airfare to both domestic and [some] international destinations. Of course, like most discount airfare airlines, their offerings are bare bones; your purchase allows you to get on the plane. Everything else is extra: advance seat selection, carry on luggage, checked luggage, printed boarding passes, snacks on board, breathable air — you get the point. 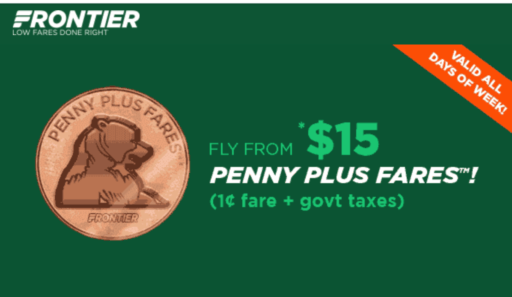 Their infamous penny airfare deals mean that you can find airfare for super cheap. Same goes for their $9 airfare club. Be sure to sign up for their e-mails to get first word of their sales. And if you’re up for the drive, purchasing their tickets at the airport will save you a ton on their online fees. Norwegian Airlines is another ultra low fare airfare and is the third largest low-cost carrier in Europe. 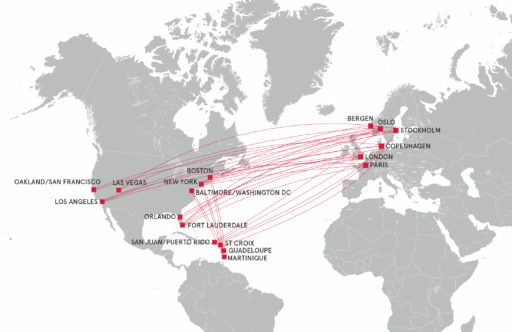 Unlike the other low-cost carriers [like Ryanair and easyJet], they actually operate in the US [and Canada]. But there’s a catch – they aren’t in every city in the US. Or even every major city. But if you find a route that works for you, you’ll be rewarded with super cheap fare. By this point you know the drill: basic airfare only covers airfare. Advanced seat selection, luggage, meals on board, etc. are all extra. In lieu of offering a airfare club, they offer different flight classes with varying benefits. So let’s say you use these tips and find a super inexpensive fare for you and your family but you don’t have the funds together just yet. What do you do? Well, the good news is that there are options! Both Layaway Tickets and Airfordable will purchase the airfare on your behalf and allow you to make payment installments directly to them. With Layaway Tickets, you search for airfare directly on their site then request that your tickets be financed. You pay a 25% downpayment and then an additional 10% financing fee. The rest of the balance is paid in small installments to Layaway Tickets. Airfordable is similar in that you can finance the cost of your tickets. However, you find the airfare outside of the website, submit the ticket information to them via their online form, and allow them to purchase the ticket on your behalf. In return, you pay a fraction of the ticket price up front and their service fee. It isn’t a flat fee but they do have a installment calculator to help determine the charge prior to submitting the finance request. 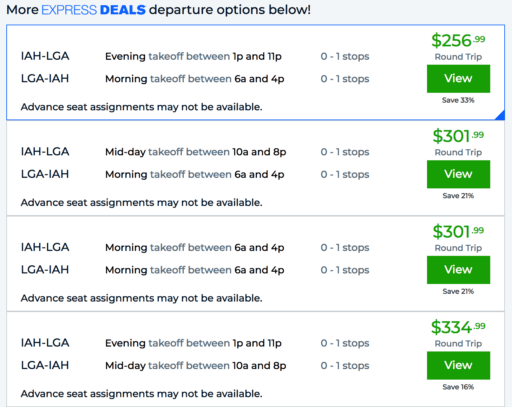 Error fares are super low airfare prices mistakenly published to the public. They are insanely good deals but usually come [and go] super fast. There are some travel websites that are dedicated almost entirely to finding error [or “mistake”] airfares online. They’re super handy given the nature of the airfare but can be cumbersome. Plus, they can’t be personalized so you will get all the deals to and from all of the places all over the world. It can be a lot to sort through but it is still worth familiarizing yourself with them. My favorites are Secret Flying and Travel Pirates. Just please note that error fares are often canceled even after booking so wait until you receive your ticket number before making other arrangements. 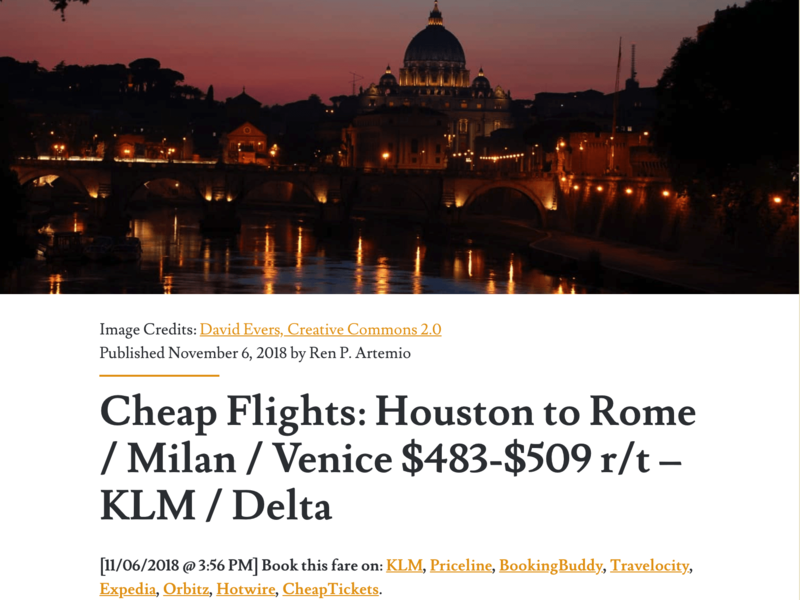 Hopefully by this part of the article, you’ve found at least one resource that can help show you how to plan cheap flights. But beyond those here are some general tips to help maximize those resources and find inexpensive airfare. Be flexible with your dates, times, and destination. Sometimes the cheapest flight isn’t the shortest or at the most convenient time of day. Or maybe it is cheaper to fly into [or out of] a neighboring city. Inconvenient? Maybe. But remember the goal is to save money so weigh the pros and cons. Some days are better than others for finding inexpensive airfare. Saturday is generally cheaper than Friday. Tuesday and Wednesday are generally cheaper than Sunday or Monday. Sale and error fares come and go quickly! Make sure you have your funds ready to pounce on the deal as soon as it appears! If you’re not sure if the deal you find will work buy it anyway! Most airlines servicing the US have a free 24 hour cancellation period or will allow you to put the ticket on hold for free. Utilize that to think it over but meanwhile you’ve secured the deal. Have a Twitter account? Great! Follow these guys on Twitter and turn on notifications to get as close to real time alerts as possible. Airlines often drop prices during holidays — especially Black Friday — so keep your eyes peeled for good deals!